CARFAX 1-Owner, Chrysler Certified, LOW MILES - 49,232! 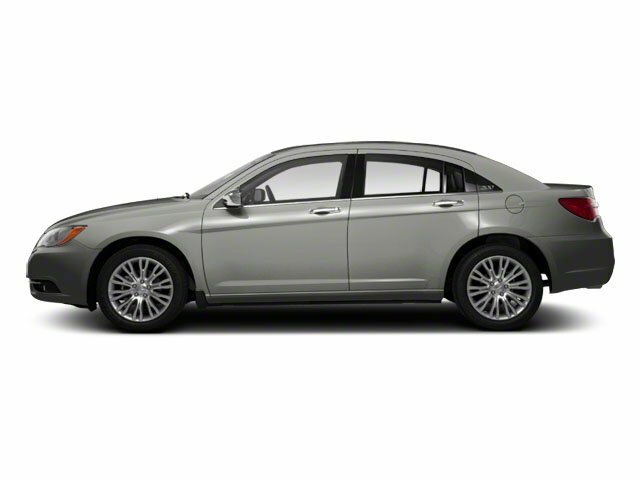 REDUCED FROM $13,991!, FUEL EFFICIENT 36 MPG Hwy/23 MPG City! iPod/MP3 Input, Bluetooth, Keyless Start, TRANSMISSION: 9-SPEED 948TE AUTOMATIC... ENGINE: 2.4L I4 MULTIAIR CLICK ME!KEY FEATURES INCLUDEiPod/MP3 Input, Bluetooth, Aluminum Wheels, Keyless Start. MP3 Player, Keyless Entry, Steering Wheel Controls, Child Safety Locks, Electronic Stability Control.OPTION PACKAGESENGINE: 2.4L I4 MULTIAIR (STD), TRANSMISSION: 9-SPEED 948TE AUTOMATIC (STD). Chrysler Limited with Vivid Blue Pearl Coat exterior and Linen/Black interior features a 4 Cylinder Engine with 184 HP at 6250 RPM*.EXPERTS REPORTEdmunds.com's review says At 16.0 cubic feet, the 200's trunk offers more space than the Honda Accord, Nissan Altima and Mazda 6.. Great Gas Mileage: 36 MPG Hwy.AFFORDABLEWas $13,991. Approx. Original Base Sticker Price: $24,000*.BUY WITH CONFIDENCECARFAX 1-Owner 7-Year/100,000-Mile Powertrain warranty, 3-Month/3,000-Mile Maximum Care Warranty, Rigorous 125-Point Inspection and Reconditioning, 24-Hour Roadside Assistance, 24-Hour Towing, Carfax Vehicle History Report, Introductory 3-month subscription to SiriusXM Satellite RadioBUY FROM AN AWARD WINNING DEALERBaxter Chrysler Dodge Jeep Ram West Dodge, a full-service car dealership in Omaha, is your source for new cars, trucks and SUVs both online and in our showroom. We also sell used vehicles and certified pre-owned vehicles. At our 17950 Burt Street location, we also provide Mopar parts and auto repair service. We're part of Baxter Auto, the largest dealer group in Nebraska.Pricing analysis performed on 4/12/2019. Horsepower calculations based on trim engine configuration. Fuel economy calculations based on original manufacturer data for trim engine configuration. Please confirm the accuracy of the included equipment by calling us prior to purchase.